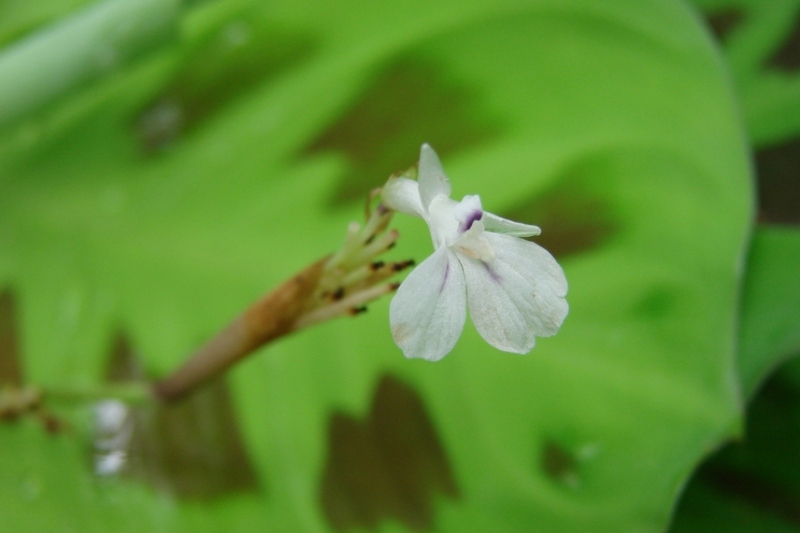 Prayer plant (Maranta spp. ): growing, planting, caring. Did you know? 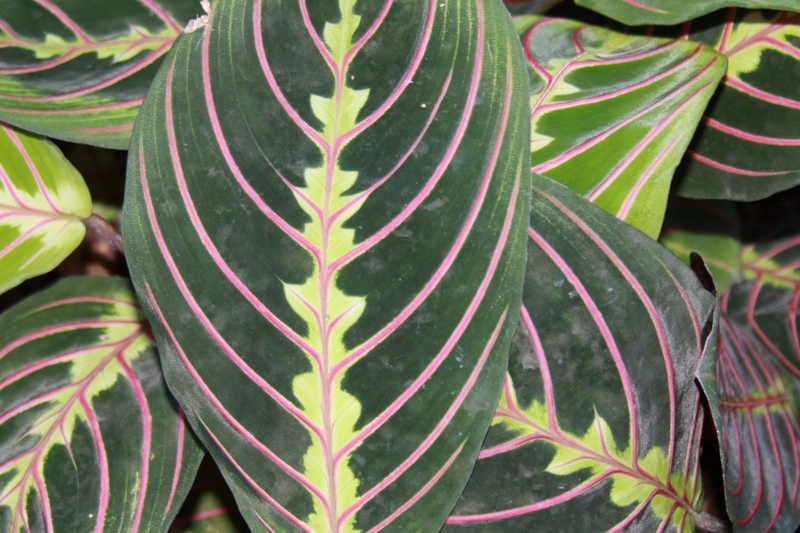 M. leuconeura leaves are flat by day and folded up as the day comes to an end, hence the common name "prayer plant ». 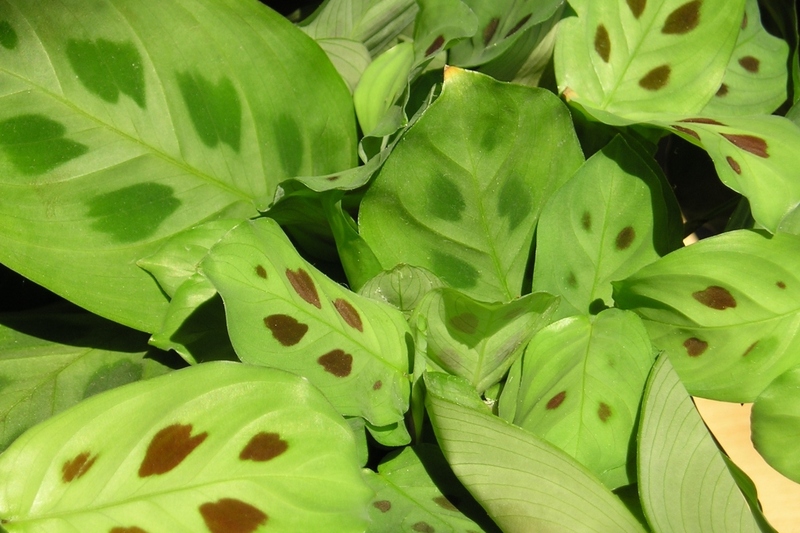 Scientific name : Maranta spp. 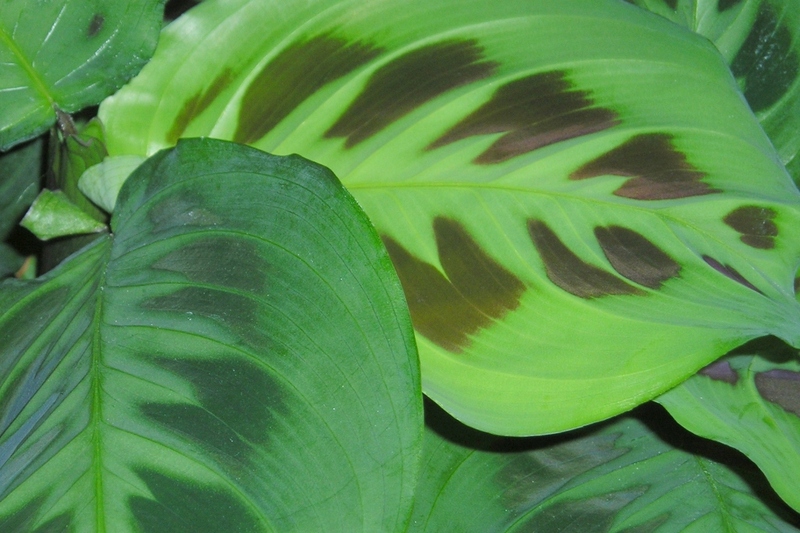 Maranta - the prayer plant - is a genus of flowering plants in the family Marantaceae native to tropical Central and South America and the West Indies, with about 40-50 species. They are rhizome perennials with oval, evergreen leaves, and small flowers with three petals and two larger petal-like staminodes. 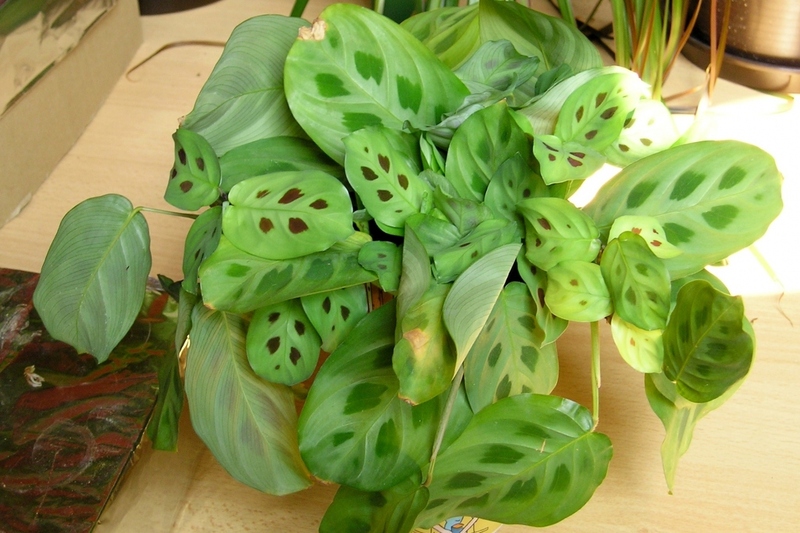 Some species such as Maranta leuconeura (prayer plant) and M. arundinacea are grown as common houseplants. Plant all year round in a mixture of fibrous soil, dry leaves and sand at the bottom - no peat, it is a protected resource. Find a pot of at least three liters with a cup, and place it in a damp place, not bright but without direct sun, between 17 and 21 ° C.
The marant requires water, the clod must always be wet. Water it every two days during the growing season. In winter, space the waterings. From time to time, clean the leaves with non-calcareous water, to repel red spiders. At the end of winter every 2 years, repot your plant in a slightly larger pot, adding sand, dry leaves and Heather earth. The marant is multiplied by tuft division during repotting. Select vigorous rhizomes with several leaves, cut them away with a clean knife, and replant in a bucket filled with moist potting soil. Place it in translucide freezer bags, to keep them moist, in a black room, at 17 ° C, for a week. When the roots are formed, plant them in the usual mixture.